with plenty of room for new friends to spread out and play! 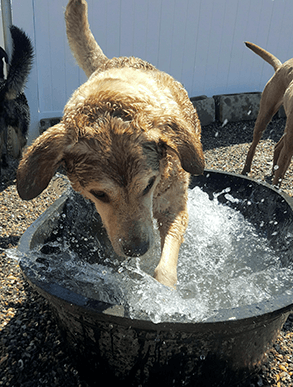 Brand new state-of-the-art facility featuring a self-service wash room, complete with shampoos, scrub tools and towels so your furry friend can go home clean after a long day of fun. Open on the first Saturday of every month! Please inquire within. Our day care service is designed for dog owners who are unable to be with their pets during the day, or those who wish to provide their pets with the exercise, socialization and mental stimulation that only come from being with other dogs within a controlled environment. With over 78,000 sq ft of outdoor play area and our large climate controlled indoor play room, you can be sure your pet is comfortable year round and has plenty of space for play. Our campus offers sun and shade, pools, beds, toys and more, all for the mental and physical stimulation your dog needs. Daycare has a brand new 342 sq ft awning installed to provide shade and rain protection and assist with overall comfort for both our daycare dogs and staff! In addition, we have brand-new playground equipment specifically designed for dog play. Our trained staff provides constant supervision throughout the day to ensure interactions between dogs are maintained at a safe and appropriate level. Please contact us today with any questions or to set up an appointment for your dog's first day of trial. 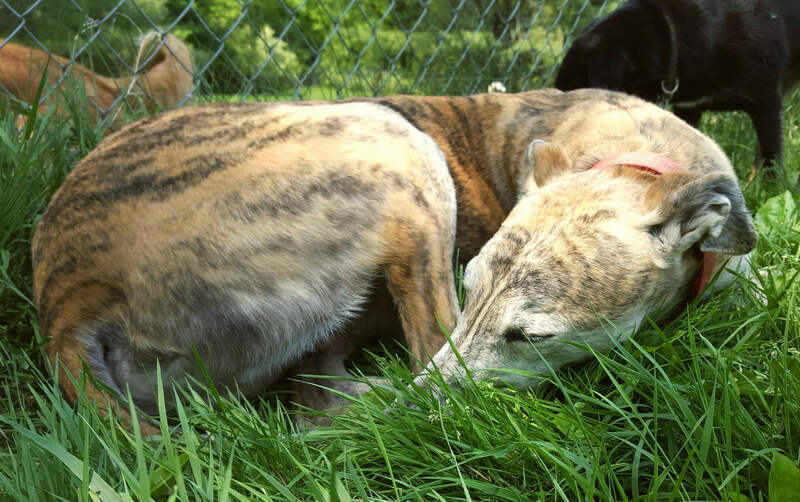 Give us a call at (603)590-DOGS, email us or sign up online. Love love love! Benson adores coming here and sometimes he is so tired I have to help him in and out of the car and even during the ride home he will just sleep on the floor instead of in the passenger seat. When he first came he would try to follow me as I left for work during drop off, after the third time he scratches at the door to waiting for the staff to open it so he can go play, he doesn't even give me a second look - for a dog who has struggled with separation anxiety this is a big change! Toys, toys and more toys! 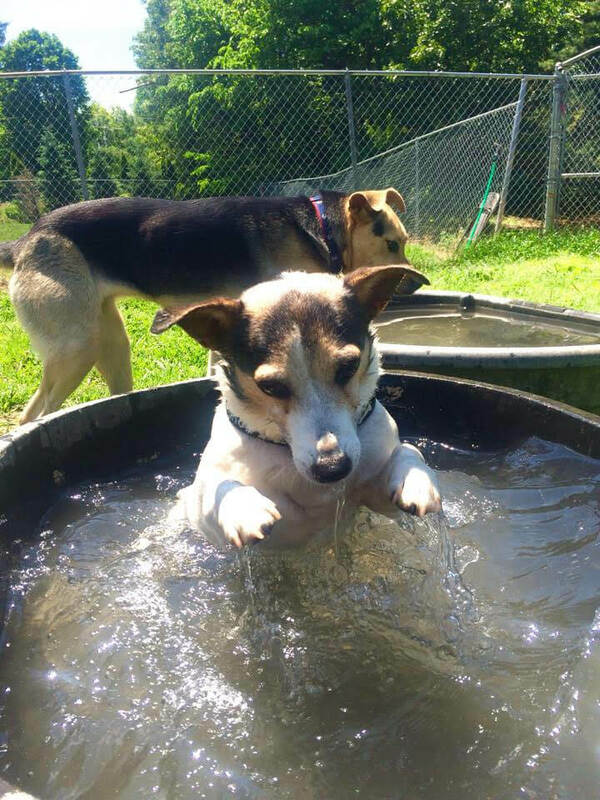 There’s always something fun going on at daycare. Tennis balls, frisbees, rope toys; if you can think of it we’re likely to have one. With so many to choose from, there’s rarely any squabbling about who gets what toy. 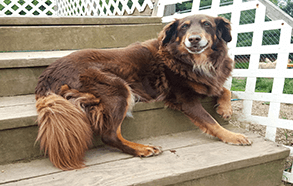 Have a dog that doesn’t share well with others? No Problem! 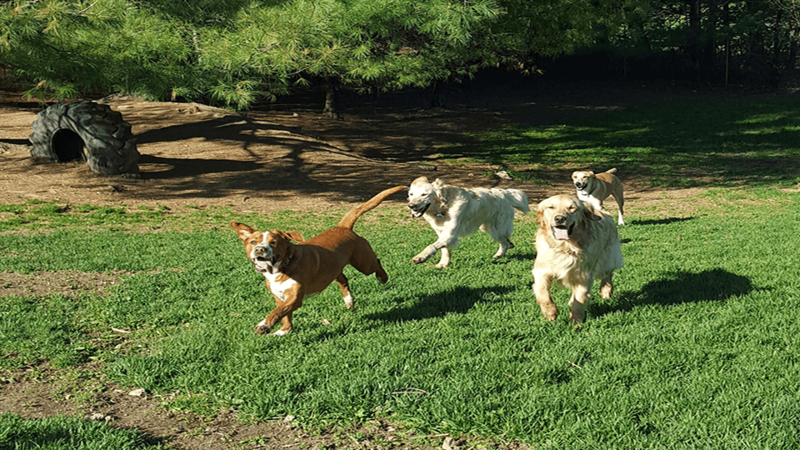 Our huge campus allows us to separate into groups as needed, so your pup can enjoy play time with others without any worries. Got a water loving K9? We’ve got you covered! Big dogs and little dogs love our pools. Whether they prefer to wade in gently or splash and dive, our deep and shallow pools offer them the freedom to do so. 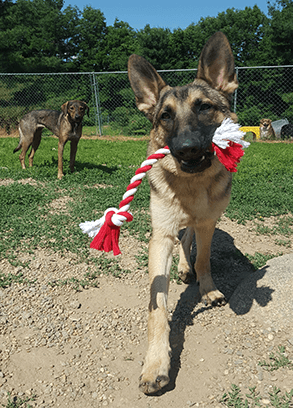 With us, daycare isn’t just about the young and energetic puppies. Many of our clients are sweet and mature dogs who need a supervised, climate controlled place to spend their day while Mom and Dad are away. We offer caring and experienced staff who your dogs will be eager to see each day, and our ample room allows them the space to enjoy themselves rather than be crowded by roughhousing youngsters! Enrollment in basic obedience class or working with a knowledgeable trainer is highly recommended, especially for puppies (ask about our new dog training services). All dogs will undergo a trial period to determine eligibility for ongoing admission. Acceptance will be at the sole discretion of the Day Care Manager with consultation from the staff. Some dogs bark more than others. Out of consideration for community members in proximity to our facility, we must exclude dogs that are compulsive barkers. Antisocial and aggressive behavior towards other dogs or humans cannot be tolerated. For the protection of your dog and all others on the premises, this is an ongoing, established policy, as well as town law in Durham. Failure to comply with this basic regulation may result in termination of day care privileges. 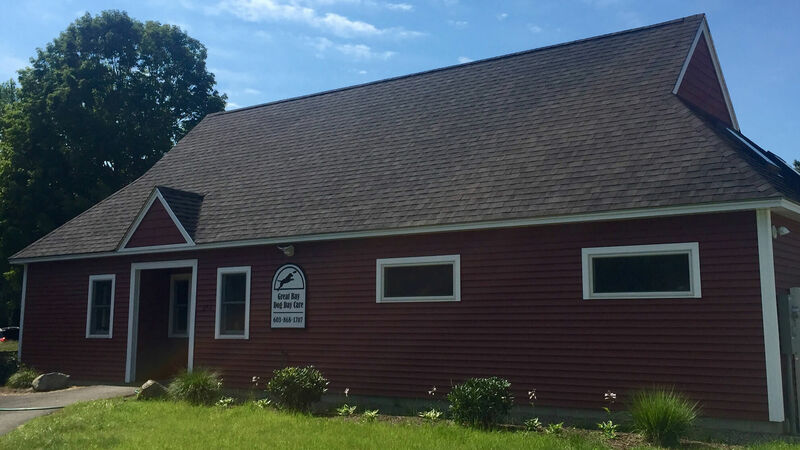 In addition to the Standard Agreement that is required for your pet’s file, we also require that you sign a release to limit the liability of Great Bay Kennel in the event of an injury.